Escape from your daily hustle as you enjoy a tradition of warm personal service, breathtaking Pacific Ocean views and Seven Gables Inn’s comfortable accommodations. Whether you are a newlywed, on a second honeymoon, or merely seeking refuge from the fast pace, your stay at the Seven Gables Inn boutique hotel in Pacific Grove, CA, is the sanctuary you are looking for and will provide a truly memorable experience. Every morning, savor the freshly brewed coffee and generous Continental Breakfast served in the oceanfront dining room, a specialty at our boutique hotel. Join us each afternoon from 4 to 6 p.m. at Seven Gables Inn to sample the hotel’s complimentary specialty cheeses and varietal wines from Central California wineries. Watch the sunset each evening, then savor our homemade cookies and milk before you snuggle into bed and fall into a peaceful sleep. Refreshed and renewed, you may leave this serene retreat hotel in Pacific Grove, CA far behind, but you’ll never forget the idyllic days and nights you spent at Seven Gables Inn. 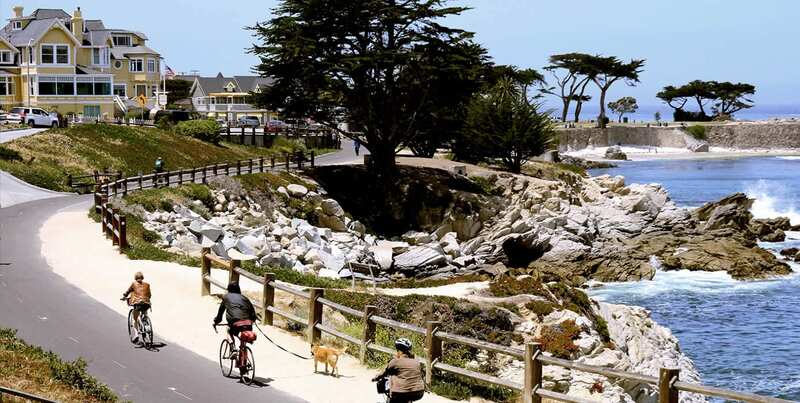 Discover a refuge you’ll want to return to for each amazing season of the year — discover Seven Gables Inn in Pacific Grove, California.